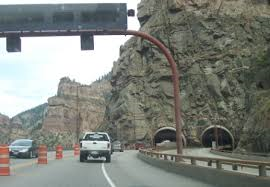 The Hanging Lake Tunnels (HLT) are located at MP 125 on Interstate I-70. The facility was completed and opened to traffic in 1992. 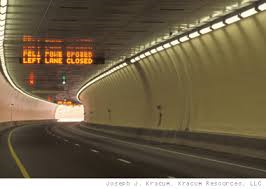 Each tunnel consists of two lanes and carries one-way traffic under normal operations. 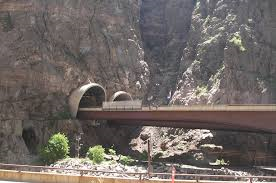 The tunnels are approximately 4,300 feet long at an elevation of 6,300 feet above sea level. The ventilation and control structure, called the Cinnamon Creek Control Complex (CCC) is a partially earth sheltered structure to the west of the midpoint of the facility. All vehicular ingress and egress for the facility is through overhead doors at the CCC. The two vertical telescoping doors provide vehicular access between the east and westbound tubes, and to the command center. The service doors were anticipated to operate a few times a day, primarily for shift changes for employees, however, the doors have been operated more frequently for operational use beyond employee shift changes. The combination of daily use and the physical configuration and access for maintenance has shortened each of the doors’ useful life span. The effective service life of the doors is at an end. Options to rehabilitate or replace the doors were evaluated. Replacement of the doors was ultimately recommended to decrease maintenance on the doors and increase their useful life. Since the project doors were originally installed and made operational, there have been maintenance issues. 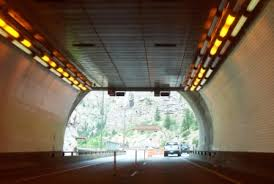 CDOT Maintenance has worked to repair and maintain the doors over their current service life. Through a process of trial and error, Maintenance has implemented and developed fixes for the doors. 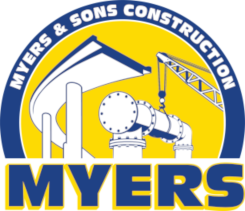 Myers and Sons Construction was selected through the RFQ/RFP process to be the CMGC to replace the doors while leaving the tunnels operational at all times.